Are Dreadlocks a Form of Cultural Appropriation? Around the same time the article was published, Justin Bieber responded to critics of his own dreadlocks by saying his locks were ‘just hair’ and not an appropriated style. But whether the Biebs meant it or not, some people still consider dreadlocks as a form of cultural appropriation—a sociological concept in which elements of a minority culture are adopted by members of the majority culture. The term has colonial roots and usually comes into the media around Halloween, when white people choose to adorn Native American costumes. A similar reaction ensued when Kylie Jenner posted pictures of her cornrows. Actor Amandla Stenberg called Kylie out on her ignorance, stating that ‘Jenner’s using her fame to call attention to her hair which mimics Black culture, but not to [call attention to] the racist violence taking Black lives.’ I mean, it wouldn’t be the first time the Kardashians have done something merely on the premise of fame and money (yes, I am alluding to the Pepsi commercial scandal, among other things). As a cisgender white woman, I don’t think it’s entirely my place to say what ‘is’ and what ‘is not’ when it comes to issues of black culture. But, remaining a bystander to forms of oppression is no better than being a perpetrator, so I’m going to give my two cents on this one. Wearing dreadlocks as a white person isn’t necessarily a form of cultural appreciation either. Salty white people are inevitably going to say ‘not letting white people wear their hair how they want is limiting to personal freedom.’ But, if you decide to get dreadlocks, then you should, at the bare minimum, research and know the roots of and ethical consequences that come with adorning dreads. If you want to support African Americans, get a history lesson or support black causes (e.g. holding law enforcement accountable for their racial biases). Everything has meaning. It’s always important (and intelligent) to remain cognisant and sensitive. In any case, stating that dreadlocks are ‘just hair’ is a way of oppressing the individual stories and tribulations marginalized people had to face throughout history. You’re not evil as an individual if you choose to wear dreadlocks, but you have to understand the ethics behind what you’re doing: taking an element of black culture that was used as a symbol of resistance and whitewashing it. If you're looking for some more resources on this topic, I suggest following this link. 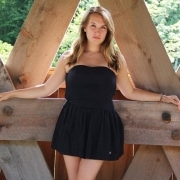 Sara is currently a freshman at the University of Vermont with a major in environmental studies. She's looking at a career in journalism or environmental policy. Outside of her classes, she’s an editorial intern at bSmart.